The days of over-the-top Flash animation may be long gone now, but that doesn’t mean you should abandon animation altogether. Subtly animated page transitions can give your websites a professional look and improve the user experience. Learn how to create them in our new course, Creating Animated HTML5 Page Transitions. Animation in modern websites is usually limited to hover effects, banner sliders, and the like. More rarely might we see websites that transition from one page to the next, as you experience in a mobile app. 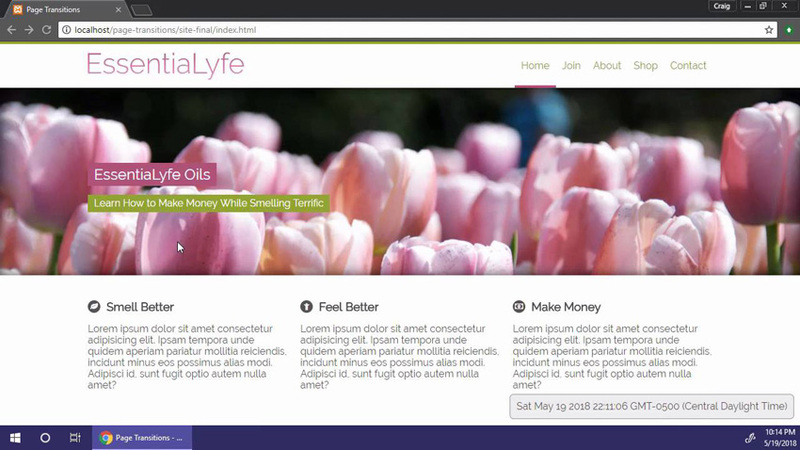 In this course, Craig Campbell will demonstrate how to build animated page transitions for the web using HTML5, CSS transitions, and jQuery. You’ll learn how to load external content, animate the transitions, work with the HTML5 History API, and more.